Riverside Holiday Village is one of the largest and most comfortable holiday complexes in N Cyprus. Situated in Lapta/Alsancak, there's accommodation to fit all tastes and pockets. Self-catering or hotel. Click on the picture to see their website. 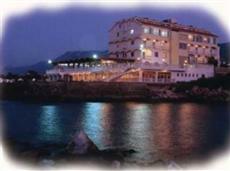 The Manolya Hotel is situated in the Lapta strip and again is a reasonably priced establishment with good facilities. On the sea front, you have the choice of swimming in the seas or pool and the local night life is on your doorstep. We are not far away either. For those wanting the self-catering option and to be away from it all, look no further than the Retreat in neighbouring Hisarkoy. 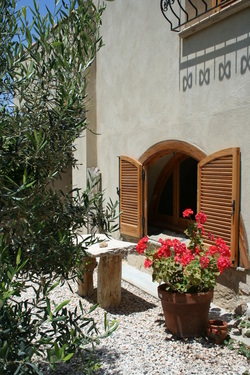 This farming village offers a nice village farm house that can be rented entirely or in part, to suit the pocket.